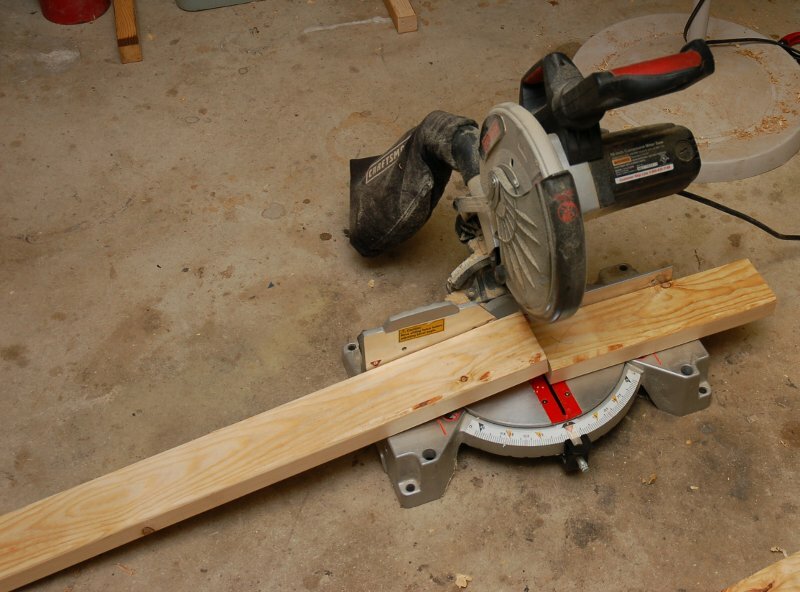 I’ve been planning to make a mobile base for my Clausing 15″ drill press for a while. I finally got around to doing it. My previous way of moving it has been a dolly. The dolly worked but it was cumbersome and a little nerve racking to move the drill press. The first thing to do was pick out some casters. I decided I didn’t need top of the line casters and that cheap ones would be fine. When I think of cheap items, I think of Harbor Freight. I found some 3″ swivel with brake and fixed casters. Each caster is rated for 125 lbs so they are fine for my ~300 lb drill press. After the casters, the next order of business is to figure out what to do with them. First, I searched online to see what other folks had come up with. There’s no need to reinvent the wheel for something like this. With some ideas in mind, I measured the base of the drill press and took several measurements of the casters. Obviously, the mounting bracket of the caster must fit but you also need to know the height of the casters. For the swivel casters the size of the circle that it sweeps out is also important. You want to make sure the caster can swing 360 degrees without hitting anything. With all of that, I sketched out a rough idea of what I wanted seen below. I decided to make the area where the drill press sits have 1/4″ clearance on all sides. I also gave a little extra room for the casters to swivel. The entire base is constructed with 2″x4″ white pine lumber. Dimensional lumber’s stated size is the nominal size when the lumber is wet. Shrinkage due to drying reduces a 2″x4″ to 1.5″x3.5″. Something to note when building if you are unaware. 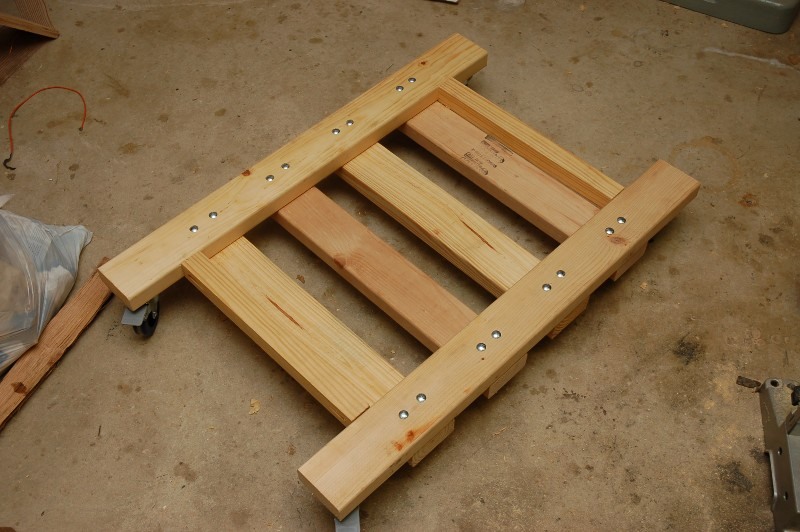 It is a simple base that has two 33.5″ long pieces running from front to back which the casters mount to. Connecting the two long pieces, are four 23″ pieces that the drill press will sit on. 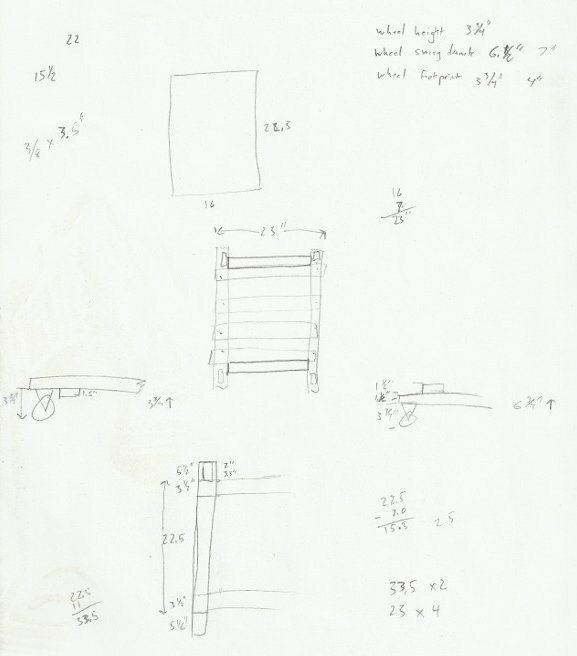 All of the wood will be bolted together with 1/4″-20 x 3.5″ carriage bolts. I have a lot of scrap 2″x4″ material sitting around, so I was more than happy to have something to use them on. I quickly cut the wooden pieces to length with my miter saw. 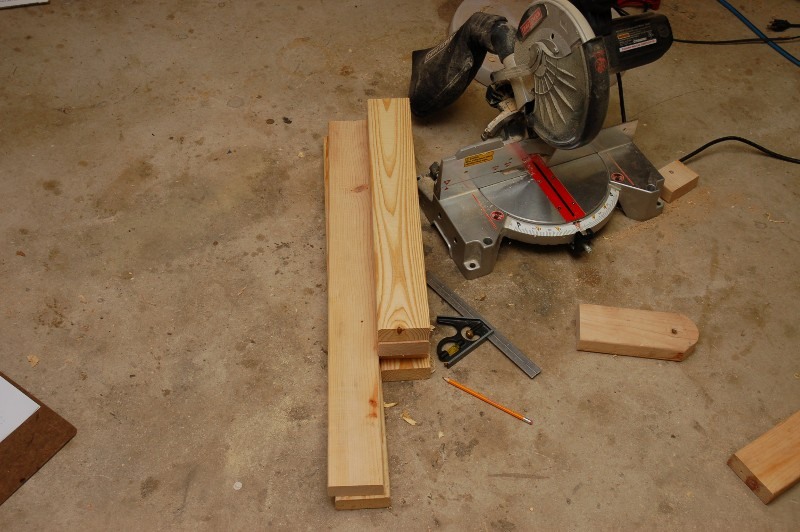 Here’s the pieces cut to length…and some scraps. Next, I held the casters down and marked where the holes were. 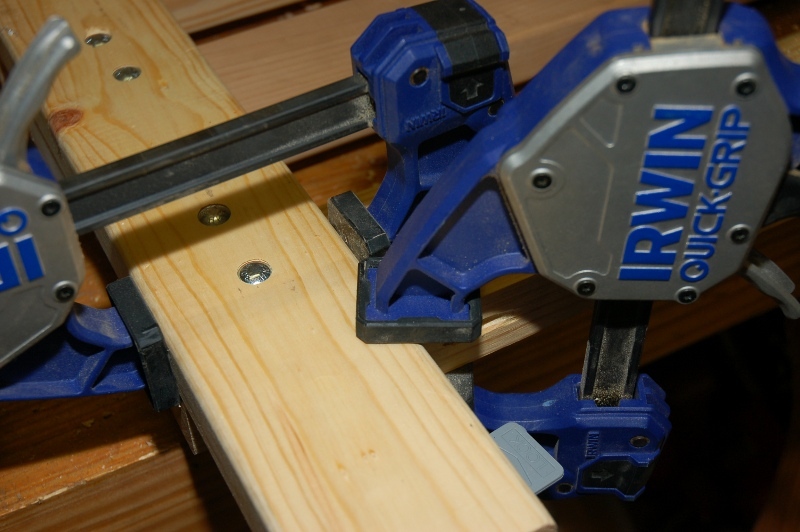 I drilled 1/8″ pilot holes for all of the 1/4″x1″ lag screws I used to hold the casters on. I took a picture of the drilling but it was blurry so I discarded it. Just imagine my drill press drilling and you’ll have it. Below are the two long pieces with the attached casters. I laid out and marked the edges of the front and back cross braces. I then clamped one of them at the corners and marked the spots to be drilled. After drilling, the carriage bolts were pounded through and a washer and nut tightened down on each bolt. This was repeated for all of the braces. With all four cross braces installed, it was time to put some simple braces on where the front and back of the drill press’ base would sit. This is mainly to keep the drill press from possibly walking forward or backward. As such, they don’t need to be held on as strongly. To attach them I used the Kreg jig to toenail in some screws. Below is the jig. It guides a specially shaped drill bit to create a pocket that allows the screw to go diagonally into another piece of wood. I find that when putting the screw into the pocket hole the wood needs to be supported to keep it moving in the direction opposite of the pocket hole. The back clamp in the picture stops this movement. 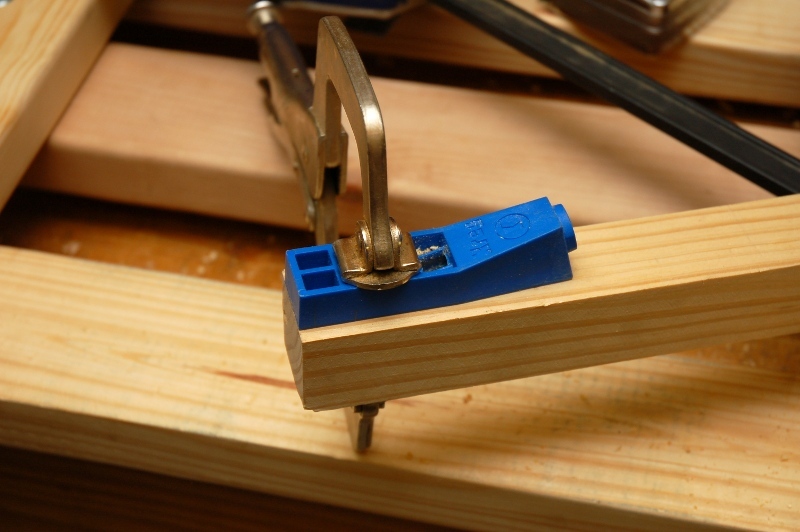 The clamp in the front holds the wood vertically. With the two stop braces in place the mobile base is finished. Of course now I have to get the ~300lb heavy, awkward drill press into the base which requires raising the drill press a little over 5″. I’m sure with a couple extra folks we could have muscled it into place, but it doesn’t have a lot of hand holds on it and is top heavy. Thus, I decided to lift it using a chain hoist. 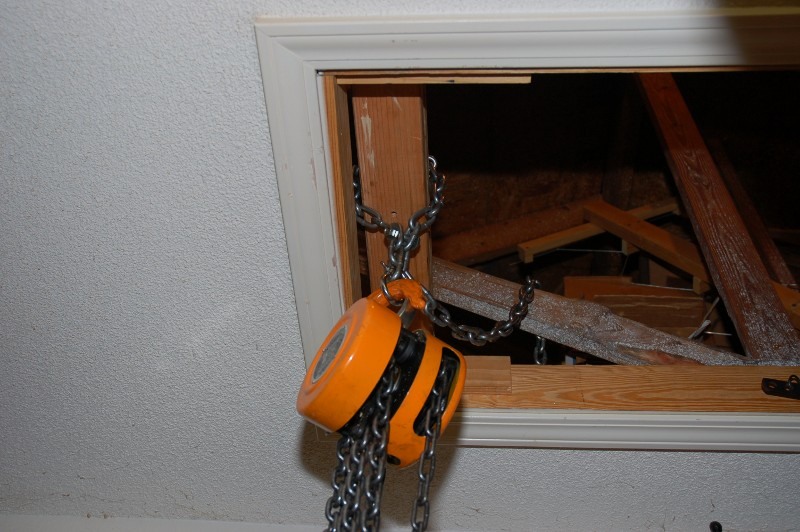 Luckily, the entrance to my attic is in the garage where my machines reside. So, that gives me a way to access the ceiling’s structure. My house has 2″x4″ truss structures in the attic which aren’t rated for a lot of weight but since I’ve stood on them and it didn’t break I should have no problem using them to lift the drill press. 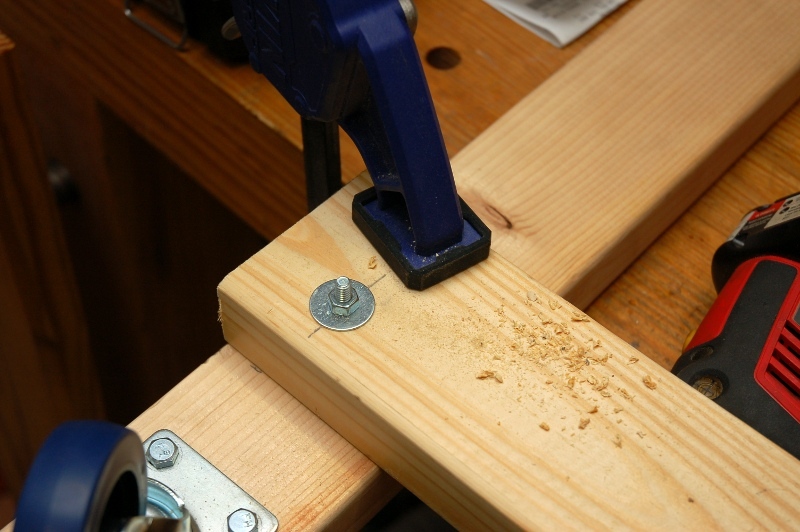 To provide a lift point, I screwed three 2″x4″ together and laid them across several of the ceiling’s 2″x4″s. I then wrapped a chain around the 2″x4″ stack and put a chain shackle at the end. To continue in the tendency to overkill, I then attached a 2 ton chain hoist to the chain. Here’s what all the Jerry rigging looked like. In all seriousness, the overkill here is a good thing. Dropping the drill press would seriously ruin my day and I’d forever kick myself for breaking it. To keep from mangling the belt guard on the drill press, I removed it. I then made a couple of double bowlines with some 1/2″ rope and put them around the drill press’ head. The loops were run through the hoist’s hook and away it went. The gear reduction in the chain hoist is pretty large so I didn’t even feel the weight of the drill press. Here’s the “system” loaded with the drill press suspended above the ground. With the drill press floating, it was a simple process to get the mobile base under it and the drill press lowered back down. (Note: don’t ever put any part of yourself between something hanging in the air and the ground.) Below is the finished product. Mobile bases are great to have under all your tools if you need to move them frequently like I do. There are some things to think about though. A base of any kind can raise the tool some. This can be a good or bad thing. In the case of my drill press the extra height was welcome but on my tables saw the height change took a while to get used to. If you’re building a base from steel then you can minimize the height change more than you can with wood. Type and number of casters are also other things to think about. Three casters would be stable sitting still but tippy when moving so most mobile bases have four casters. (Aside: stay away from 3 wheeled engine stands for the same reason.) For casters, you have the choice of swiveling and fixed. Both can come with and without brakes. Brakes can be on the wheel, as mine are, or on both the swivel and wheel. My drill press’ base has fixed wheels in the back and swivels on the front so it drives like a fork lift. A more maneuverable option is to put swivel casters on all four corners. My tablesaw uses a base with four swivel casters with wheel brakes. This has the drawback that if you don’t have swivel locks the saw will move a little bit in all directions until all of the casters are oriented correctly. In my case the increased maneuverability is worth it. I just always lock the wheels and push it in the feed direction to take the slack out of the system. Another caster issue is the type of bearing for the wheel. These cheep casters use a steel pin on a plastic hub which will be fine for low usage they’ll see. Other casters have better bearing materials which can include ball bearings. They’re significantly more expensive though. You also have a choice in wheel size and material. A smaller wheel can get stuck in cracks and stopped by objects in the way. Larger casters will cruise over these things without issue. Wheel material can be cast iron, steel, a number of plastics, and rubber. As you can see, there’s a lot to think about when picking your casters. 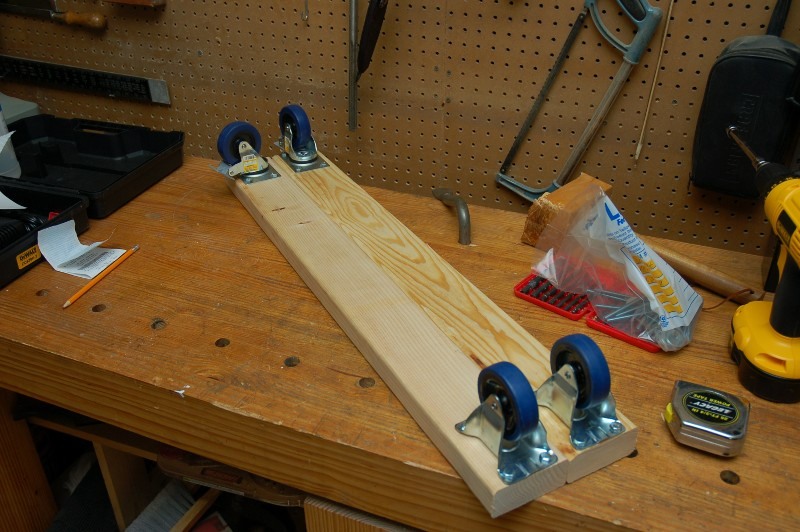 This entry was posted in Modification, Tools, Woodworking. Bookmark the permalink.